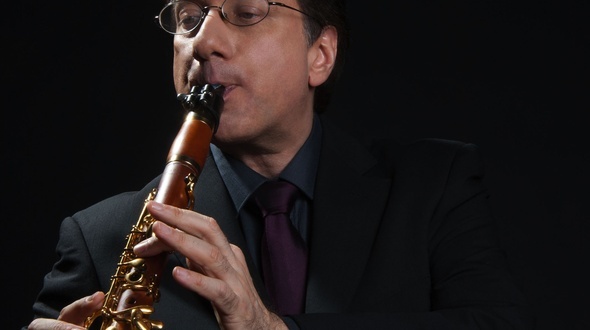 Hailed by the New Yorker as an “artist of uncommon merit - a master of his instrument", the professor at The Juilliard School, prize-winning clarinetist, composer, and conductor breaks down and explains anything from technique to musical interpretation in his unique ability. 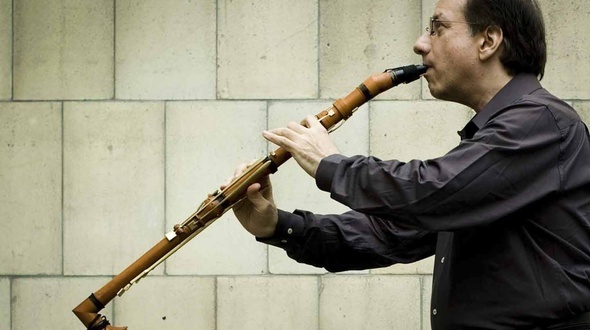 1 and a half hour teaching of one of the most beautiful clarinet pieces, Brahms Clarinet Trio.Charles Neidich is an American classical clarinetist, composer, and conductor. A native New Yorker of Russian and Greek descent, Charles Neidich began his clarinet studies with his father, Irving Neidich, at the age of eight, and continued them with the renowned teacher Leon Russianoff and, later in Moscow, with Boris Dikov. His reputation has grown steadily since his 1974 New York recital début while still a student at Yale. A series of prizes helped launch his early career: the Silver Medal in the 1979 Geneva International Music Competition, Second Prize in the 1982 Munich International Competition and one of three Grand Prizes in the 1984 Accanthes International Competition in Paris. 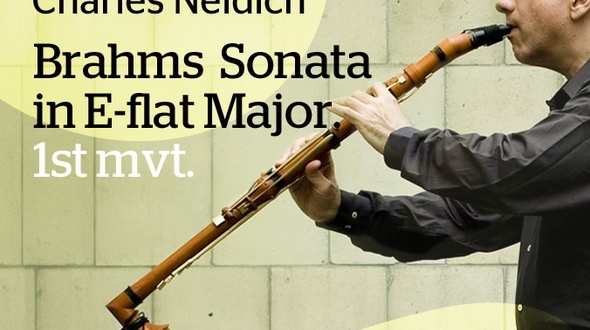 Charles Neidich, clarinet professor at the Juilliard School in NY, shares his insights into one of the most profound pieces ever written for clarinet- the Brahms e-flat major clarinet sonata. Get all 3 movements in this download and enjoy almost 4 hours teaching. Charles Neidich is an American classical clarinetist, composer, and conductor. A native New Yorker of Russian and Greek descent, Charles Neidich began his clarinet studies with his father, Irving Neidich, at the age of eight, and continued them with the renowned teacher Leon Russianoff and, later in Moscow, with Boris Dikov. His reputation has grown steadily since his 1974 New York recital début while still a student at Yale. A series of prizes helped launch his early career: the Silver Medal in the 1979 Geneva International Music Competition, Second Prize in the 1982 Munich International Competition and one of three Grand Prizes in the 1984 Accanthes International Competition in Paris. 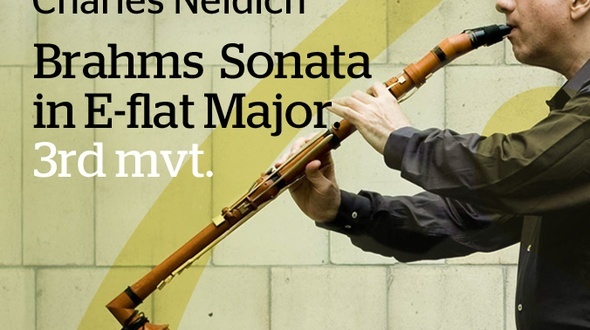 The most comprehensive clarinet class ( 215 minutes ) on Brahms´ f minor clarinet sonata.Charles Neidich is professor at the Juilliard School of Music. Charles Neidich, clarinet professor at the Juilliard School in NY, shares his insights into one of the most profound pieces ever written for clarinet- the Brahms E-flat- Major clarinet sonata. Break it down and focus only on the 3rd mvt. Charles Neidich is an American classical clarinetist, composer, and conductor. A native New Yorker of Russian and Greek descent, Charles Neidich began his clarinet studies with his father, Irving Neidich, at the age of eight, and continued them with the renowned teacher Leon Russianoff and, later in Moscow, with Boris Dikov. His reputation has grown steadily since his 1974 New York recital début while still a student at Yale. A series of prizes helped launch his early career: the Silver Medal in the 1979 Geneva International Music Competition, Second Prize in the 1982 Munich International Competition and one of three Grand Prizes in the 1984 Accanthes International Competition in Paris. Charles Neidich, clarinet professor at the Juilliard School in NY, shares his insights into one of the most profound pieces ever written for clarinet- the Brahms E-flat- Major clarinet sonata. Break it down and focus only on the 1st mvt. Charles Neidich is an American classical clarinetist, composer, and conductor. A native New Yorker of Russian and Greek descent, Charles Neidich began his clarinet studies with his father, Irving Neidich, at the age of eight, and continued them with the renowned teacher Leon Russianoff and, later in Moscow, with Boris Dikov. His reputation has grown steadily since his 1974 New York recital début while still a student at Yale. A series of prizes helped launch his early career: the Silver Medal in the 1979 Geneva International Music Competition, Second Prize in the 1982 Munich International Competition and one of three Grand Prizes in the 1984 Accanthes International Competition in Paris. Charles Neidich, clarinet professor at the Juilliard School in NY, shares his special insights into one of the most profound pieces ever written for clarinet- the Brahms E-flat- Major clarinet sonata. Break it down and focus only on the 1st mvt. Charles Neidich is an American classical clarinetist, composer, and conductor. A native New Yorker of Russian and Greek descent, Charles Neidich began his clarinet studies with his father, Irving Neidich, at the age of eight, and continued them with the renowned teacher Leon Russianoff and, later in Moscow, with Boris Dikov. His reputation has grown steadily since his 1974 New York recital début while still a student at Yale. A series of prizes helped launch his early career: the Silver Medal in the 1979 Geneva International Music Competition, Second Prize in the 1982 Munich International Competition and one of three Grand Prizes in the 1984 Accanthes International Competition in Paris. In " Clarinet Fundamentals " Charles Neidich explained and showed some important clarinet aspects, useful for anyone wanting to understand and play the clarinet better.In " Clarinet Fundamentals Vol. 2 " Neidich digs even deeper and comes up with some fresh and mind blowing ways of how to tackle your daily practice and how to overcome typical problems with air, tension and embouchure.